This site contains affiliate links. Purchasing through these links helps support this site at no additional cost to you. Please see the policies page for more information. I am so excited now that the hubby and I are finally able to start to do more traveling! We’ve got a long bucket list of places that we want to visit – both with and without the kids – and I’m excited to start documenting our travels. Here’s where I’ll write a little travel guide for each of the places we’ve visited and all the things that we’ve done while we were there. They’ll cover everything from where we stayed, to what we ate, what we did, and how we got around. Join me as we adventure! subscribe for all the latest! thank you! please check your inbox for confirmation email. The perfect travel bag to hold all your cords, batteries, adapters, whatever electronic accessories you may need. Then rolls up and is held together by an elastic band so nothing falls out. This is the best laptop ever. It’s one of the 2-in-1s so it has a drawing pen and folds open on itself so I can use it as a tablet when I want. I literally use this for everything blog related and the tablet/pen feature make it prefect for editing photos in Lightroom or Photoshop. Before buying this little bag I would just throw all my jewelry in plastic baggies and hope for the best. No good. This bag organizes everything and keeps it from getting tangled together. With all the traveling we’ve been doing lately, I decided to invest in a better travel camera. I did a ton of research and this is the one I found and absolutely love. You can control it in manual mode and it takes amazing photos. Plus, it’s small enough to fit in my crossbody purse. 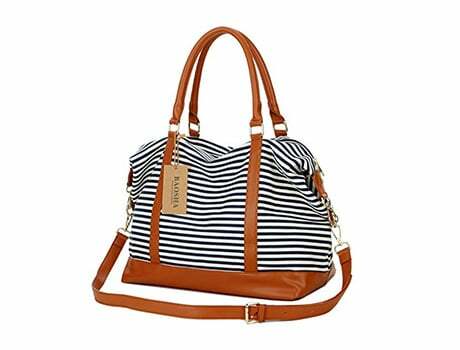 This bag is perfect for a weekend getaway or used as a carry-on for when you get on a plane. I love that it has a strap in the back that attaches to the top of your luggage so it doesn’t fall. 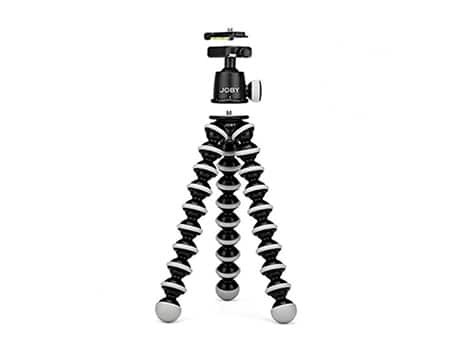 This is a fun little tripod that I stick in my backpack or purse for more long-exposure photography when I’m out and not feeling like lugging the giant tripod. This is the best carry-on bag that I have found, to date. It fits exactly what I need (camera, purse, laptop, sweater) without being big. You can either put it in the overhead bin or you can put it under the seat in front of you… which is perfect! I actually bought this when I was getting ready to go to the hospital. The color is gorgeous with the cognac details and it’s big enough for a few days worth of clothes, shoes, and accessories. Would work great as a carry-on or just a quick weekend getaway. Before a recent trip to Vegas I realized that I didn’t have a good medium-sized suitcase. All I had was either a carry-on or a giant one… which we all know, as a woman, I will over-pack and go over the weight limit. This one still let’s me slightly over-pack but I haven’t gone over the limit yet. Plus, it’s stylish and durable. I just recently bought this travel makeup bag and I am in love. 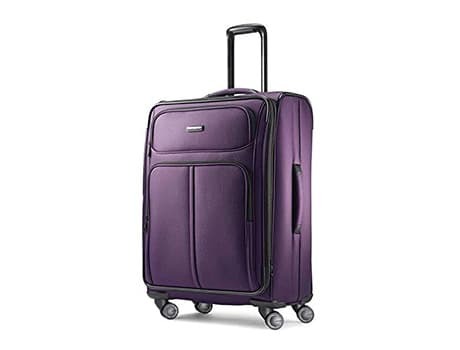 It is large enough to hold all the skincare, makeup, and hair tools I need while traveling without having to have separate bags for everything (which I did before) or have it just randomly in the luggage. We take your privacy very seriously and promise never to spam you. See our terms and privacy here. © 2010 - 2019 Jennifer Meyering | All Rights Reserved | Designed with ❤ by me!